01182013_Becherer_IraqMedical007A: Doctors of War: Casualties of War: Global News Portfolio: New Orleans based Photojournalist covering the Deep South and beyond. Colonel John Ingari, assistant commander of the Air Force Theater Hospital, run by the 332nd Expeditionary Medical Group at Balad Air Base, inspects the body of a wounded American soldier for additional wounds perhaps unseen by the flight medic. 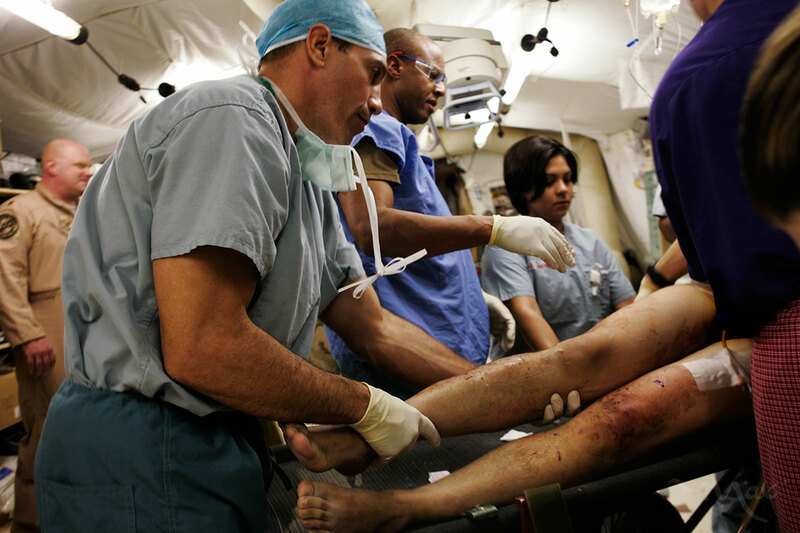 Improvised explosive devices cause the most trauma seen in the emergency room, and the shrapnel from those blasts can easily be overlooked by flight medics.